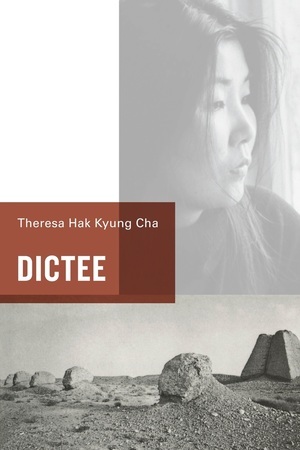 Dictée is the best-known work of the versatile and important Korean American artist Theresa Hak Kyung Cha. A classic work of autobiography that transcends the self, Dictée is the story of several women: the Korean revolutionary Yu Guan Soon, Joan of Arc, Demeter and Persephone, Cha’s mother Hyung Soon Huo (a Korean born in Manchuria to first-generation Korean exiles), and Cha herself. The elements that unite these women are suffering and the transcendence of suffering. The book is divided into nine parts structured around the Greek Muses. Cha deploys a variety of texts, documents, images, and forms of address and inquiry to explore issues of dislocation and the fragmentation of memory. The result is a work of power, complexity, and enduring beauty. Theresa Hak Kyung Cha (1951-1982) was a poet, filmmaker, and artist. In 1982, Cha was murdered by a stranger in New York City, just a few days after the original publication of Dictée.